It seems the resurfacing of the (animated) electronic crossover pioneer group Gorillaz was not just a one-time event in 2017. The UK group .. 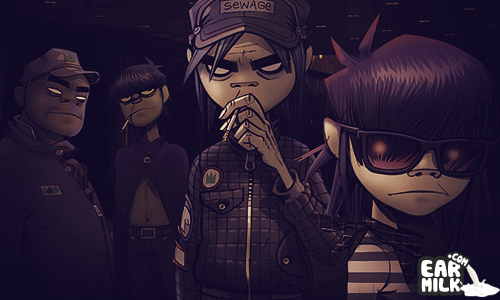 The Gorillaz link up with UK rapper Little Simz for "Garage Palace", a mid-tempo but still energetic jam that fits perfectly with Simz vibrant ..
Gorillaz' recent album Humanz prompted a stream of remixes from a hefty list of producers, including Bonobo, Baauer, Purple Disco Machine ..
As we await the release of Humanz on April 28th, Gorillaz has been delivering project after project for us to muster while we wait for the long-awaited ..
Gorillaz. Whether you like it or not, Damon Albarn is going to stay as the brains of the family until the end of time, and as his taste changes ..